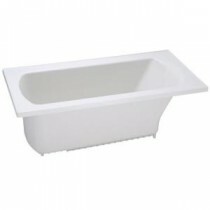 Give your bath the clean look and comfortable feel of contemporary furniture with a Lawson drop-in bath or Whirlpool. Create the impression of custom-made furniture. It features block legs and a recessed bottom edge when you install the optional apron.